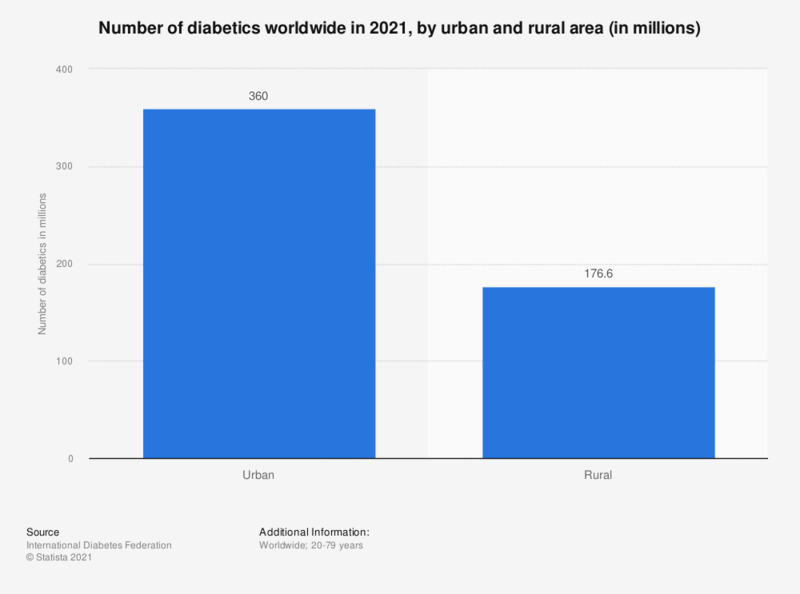 This statistic depicts the number of diabetics worldwide from 2017 to 2045, sorted by urban and rural areas. In 2017, around 279 million people in urban areas had diabetes. By 2045 the number is expected to increase to almost 473 million.